Starcity Real Estates Private Limited's Annual General Meeting (AGM) was last held on 29 September 2017 and as per records from Ministry of Corporate Affairs (MCA), its balance sheet was last filed on 31 March 2017. 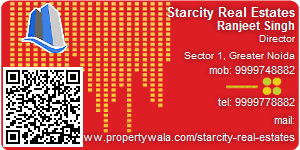 Directors of Starcity Real Estates Private Limited are Rahul Gupta, Pratap Singh Rathi and Praveen Kurele. Stress Free Homes with Ace Divino @ Rs 3699 per Sq. Ft.
Company: Starcity Real Estates Pvt. Ltd. Address: Plot No. 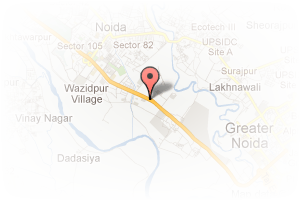 GH-14A, Sector 1, Greater Noida, 201303, Sector 1, Greater Noida, Uttar Pradesh, India. PropertyWala.com » Greater Noida Real Estate » Greater Noida Builders / Developers » Starcity Real Estates Pvt. Ltd. This Builder Profile page for "Starcity Real Estates Pvt. Ltd." has been created by PropertyWala.com. "Starcity Real Estates Pvt. Ltd." is not endorsed by or affiliated with PropertyWala.com. For questions regarding Builder Profiles on PropertyWala.com please contact us.